Two stones were recovered totalling 4.25kg, Met. Bull. 59, Meteoritics, 1981, 16, p.198. Description, mineralogy, analysis data, A.L.Graham et al., Meteoritics, 1988, 23, p.321. 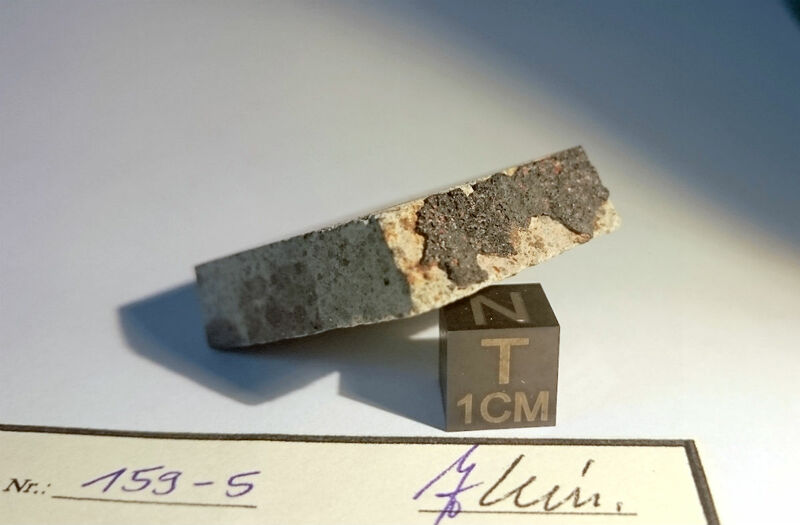 Pu fission track density, P.Pellas et al., Meteoritics, 1983, 18, p.374 (abs.). Short-lived cosmogenic nuclide data, J.G.Evans and J.H.Reeves, LPSC, 1983, 14, p.181 (abs.). 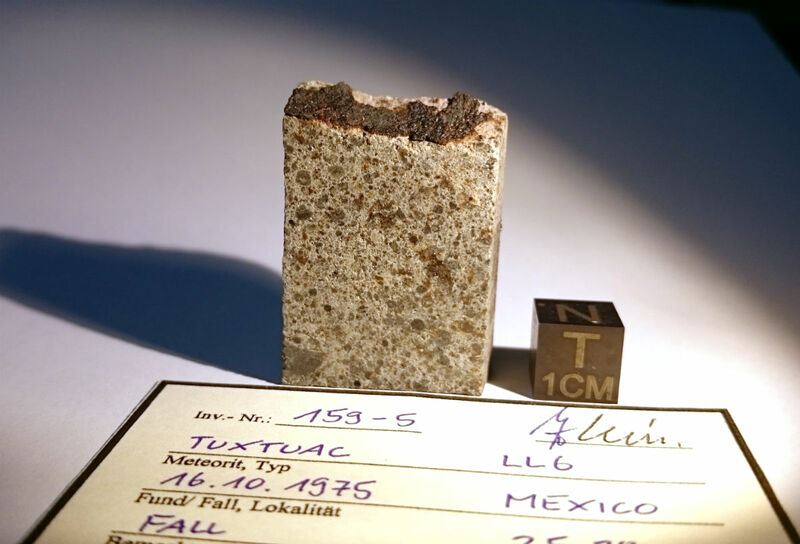 Contains Na-Al-rich chondrules, A.Bischoff and K.Keil, GCA, 1984, 48, p.693. Cosmogenic radionuclides, U.Herpers and P.Englert, Meteoritics, 1984, 19, p.236 (abs.). Metal phase reveals unusual Mössbauer spectrum, M.Christophe Michel-Levy et al., Papers 9th Symp. Ant. Met., NIPR Tokyo, 1984, p.70. Magnetic properties, tetrataenite-rich, T.Nagata et al., Mem. Nat. Inst. Polar Res., Tokyo, 1986, (41), p.364. I-Xe systematics, T.J.Bernatowicz et al., GCA, 1988, 52, p.1113. Uranium abundance in merrillite and apatite, G.Crozaz et al., Earth Planet. Sci. Lett., 1989, 93, p.157. Compositions of pyroxenes, equilibration temperature, H.Y.McSween,Jr. and A.D.Patchen, Meteoritics, 1989, 24, p.219. A further mass of about 25kg was found in 1989, R.Haag, priv. 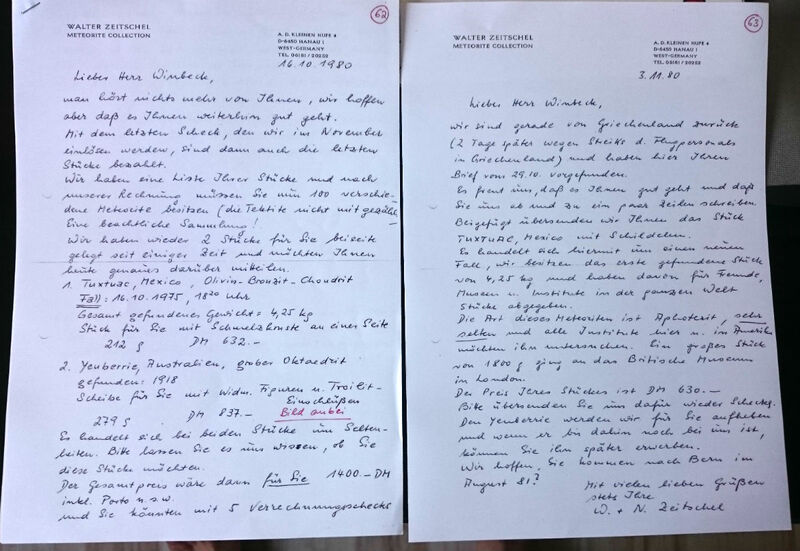 comm., 1990. Analysis of olivine, Fa30.3, and kamacite, 5.87% Co, A.E.Rubin, GCA, 1990, 54, p.1219. Rb-Sr analysis of phosphates, F.A.Podosek and J.C.Brannon, Meteoritics, 1991, 26, p.145. Magnetic properties, S.J.Morden and D.W.Collinson, Earth Planet. Sci. Lett., 1992, 109, p.185. Bulk density and porosity, M.Terho et al., Studia Geophysica et Geodaedica, 1993, 37, p.65; see also, D.T.Britt and G.J.Consolmagno, MAPS, 2003, 38, p.1161. Shock classification, A.E.Rubin, Meteoritics, 1994, 29, p.93. Cosmic-ray exposure age 13.4 Ma, T.Graf and K.Marti, Meteoritics, 1994, 29, p.643. U-Pb systematics of phosphate separate, C.Göpel et al., Earth Planet. Sci. Lett., 1994, 121, p.153. Magnetic properties, A.Yamanaka et al., Proc. NIPR Symp. Ant. Met., 1995, (8), p.305. Pyroxene composition, R.H.Jones, LPSC, 1997, 28, p.681 (abs.). Fe-Mg ordering in orthopyroxenes, compositional and X-ray diffraction study, L.Folco et al., MAPS, 1997, 32, p.567. Chemical composition and microstructure of plagioclase, Y.Nakamuta and M.Motomura, MAPS, 1997, 32, p.A97 (abs.). EPMA analysis of fusion crust, M.J.Genge and M.M.Grady, MAPS, 1999, 34, p.341. Bidirectional reflectance, N.Tomita and A.M.Nakamura, LPSC, 2002, 33, abs. #1100. Modal mineralogy and mineral chemistry, H.K.Gastineau-Lyons et al., MAPS, 2002, 37, p.75. Pb-Pb dating, E.Rotenberg and Y.Amelin, LPSC, 2003, 34, abs. #1902. Magnetic susceptibility, P.Rochette et al., MAPS, 2003, 38, p.251. Relative Mössbauer absorption areas, H.C.Verma et al., MAPS, 2003, 38, p.963. Density and porosity, S.L.Wilkinson et al., MAPS, 2003, 38, p.1533.